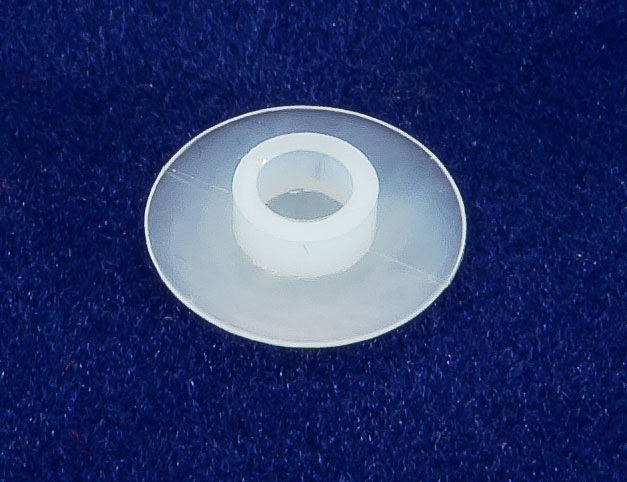 Pad Retainer / Pad Snap (Tone Booster) for (USA - Bundy / Boosey & Hawkes 78 / Buescher) flute. Nylon. I used these as a substitute on an obsolete Emporer Flute. They worked perfectly. The only supplier of nylon pad retainers I could find. Please keep supplying them. I needed Selmer flute pad retainers and I could not find them here in the USA. Dawkes Music came through with the identical item! The pad retainers are a perfect match to the originals. If you need something and Dawkes Music has it, buy it, you won't be disappointed.